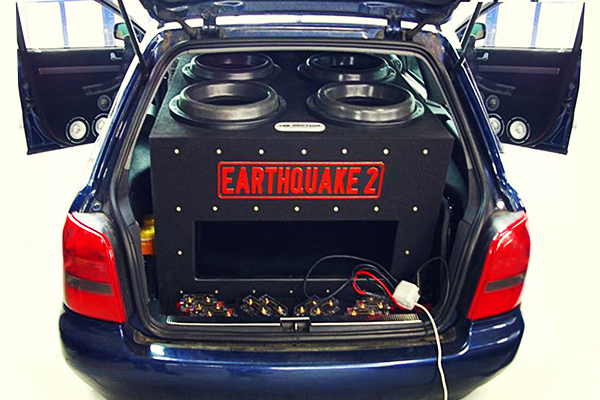 Team Earthquake starts out strong in this year’s austrian Car Hifi season. 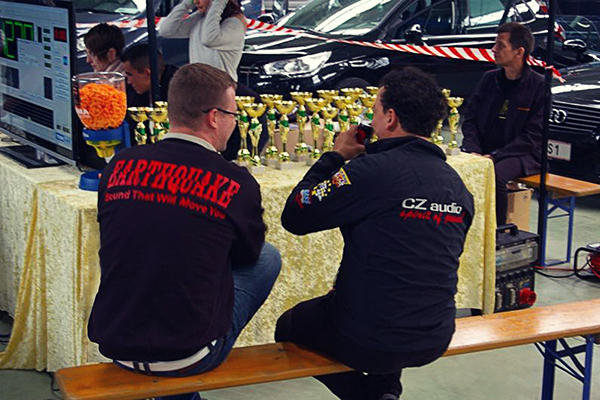 On Saturday the 5th of April 2014 the Austrian car hifi season started out with a blast, and of course Team Earthquake was there to deliver that blast. 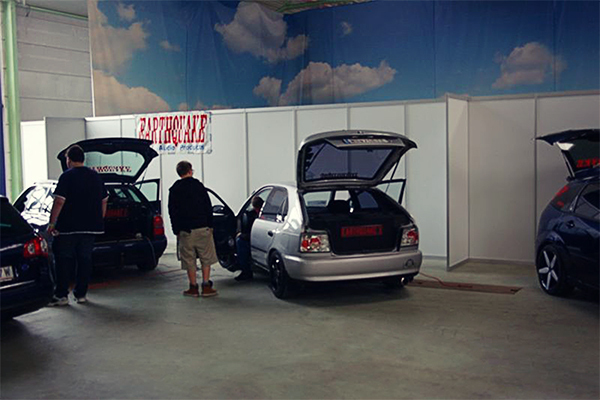 It was a popular and crowded event with a total of 42 cars lining up to take part in the various disciplines of car stereo awesomeness. Joining the team this year is Mihai Bugeau with his Ford Focus, a completely Earthquake equipped masterpiece of a car. 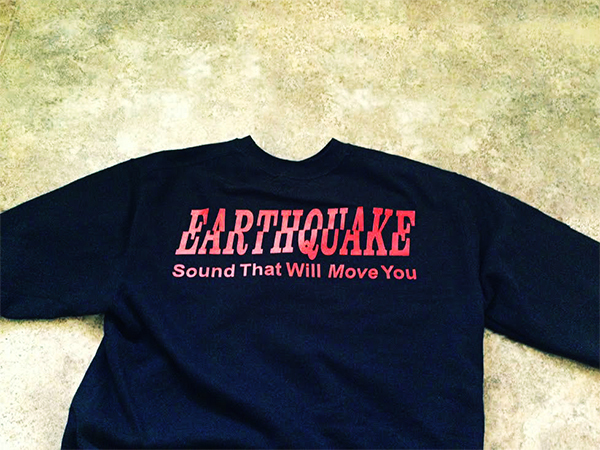 Being absolutely new to this class it won a second place with the help of some serious Earthquake gear, proving once again Earthquake dominance. The Focus is equipped with: 1x mc-6, 1x VTEK 62, eq-7000, PH-2200, 2x DBXI 12” and a mini D 2500 with 2 batteries. A serious setup - for serious sound and performance. 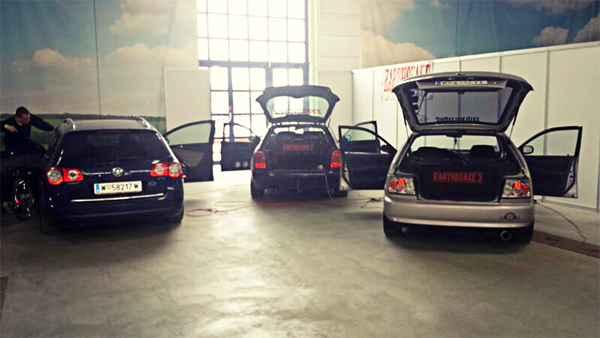 Team Earthquake also proved their worth in Trunk Unlimited where Robert Lambrechter and his blue VW Passat, won a very close second place, once again proving that good looks and high performance can go hand in hand in the world of serious carhifi. Robert tells us that he did not even go full out in this competition, since he want’s to save some mystery for the state and european competitions later this year. 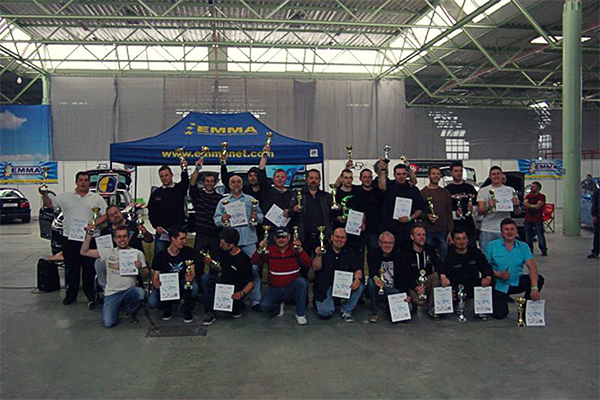 Mario Schlee and his blue Audi A4 Avant took an, as close as it gets, second place in the category Master Wall Unlimited, with the difference between first and second place being only a mere 0,8 Db in average. The head judge of the event Martin was a busy man, having to judge most of the impressive line-up singlehandedly. One of the new things he was judging was the new test cd and especially track 26 “Buzz of the monkeys” this awesome track was played both as a peak and as a 30 second Db average test track in the ESPL competition. As always there was a good atmosphere and a great turnout of excited fans eager to see and HEAR their favorite teams competing. 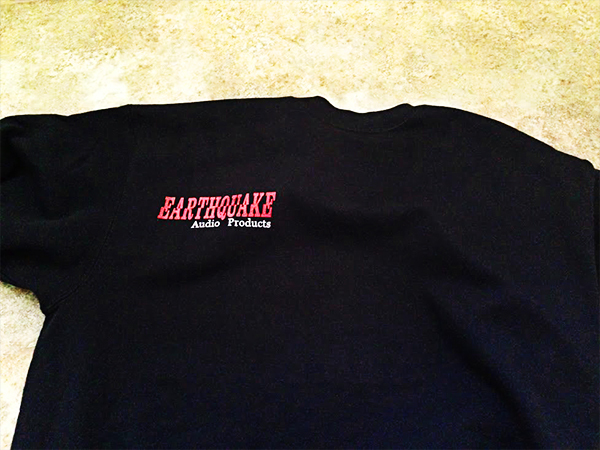 The 2014 season already looks to be a very close and exciting season and Team Earthquake is more than ready to deliver to of their class performance in every category. See – Hear – Feel – Enjoy.